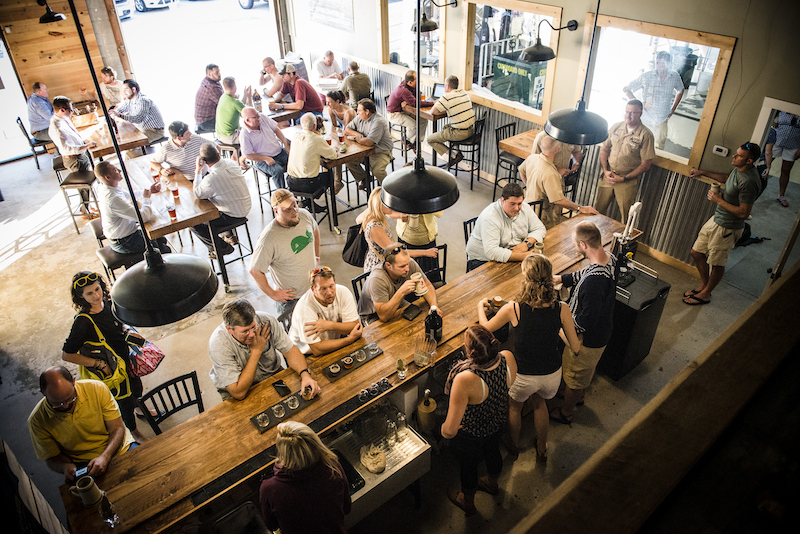 Our Tap Room can hold up to 48 guests. We currently support private events outside our public operating hours. 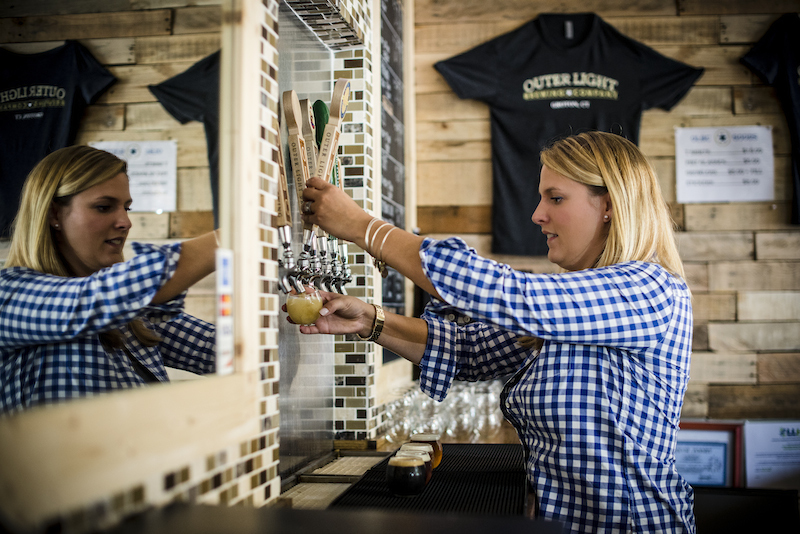 We may consider events during operating hours that support more than 40 guests, so please call and ask for Liam or email him at liam@outerlightbrewing.com to inquire. As is, our room seats 34 people with a mix of bar stool and high back and some low back chairs. Most tables are bar height. We have about 650 square feet in room space and offer a men's and a women's handicap accessible bathroom. We serve both beer and wine. We have one 40" television behind the bar, and one along the side of the taproom. Parking is plentiful. We also have one rectangular fold out table that can be placed on the edge of the floor. Additional A/V equipment, tables and chairs can be rented with ample notice at additional cost. We are happy to arrange our tap room layout to suit your needs.